Welcome. The first gesture to a visitor should always be welcome. Your hospitality begins with the entrance to your place of business, and welcome begins with shelter and shade from the elements. Give your customers a place to shake off the cold, the rain, the heat. Shade is as essential as hello. 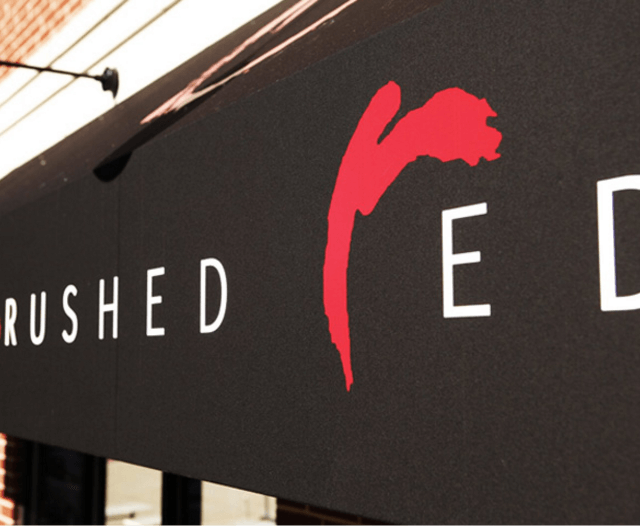 To make the best first impression with your business, innovative shade solutions are essential. 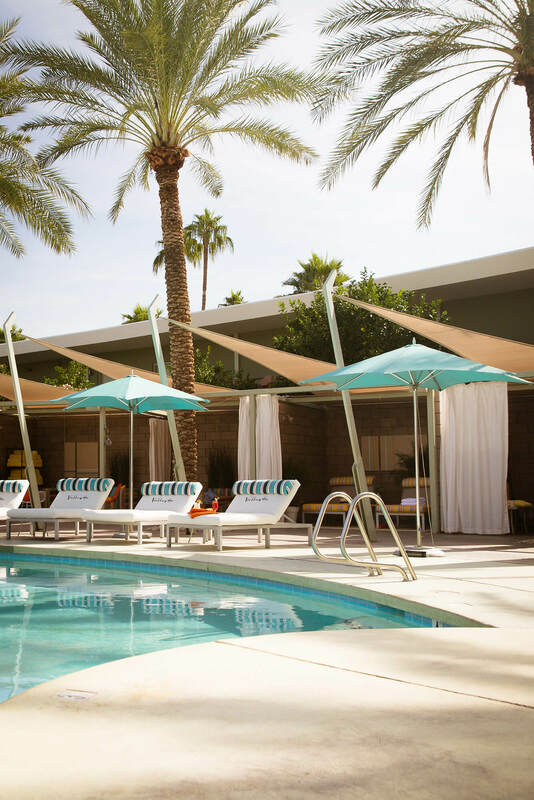 Revolutionary Sunbrella shade fabrics are revolutionizing the possibilities for shade. 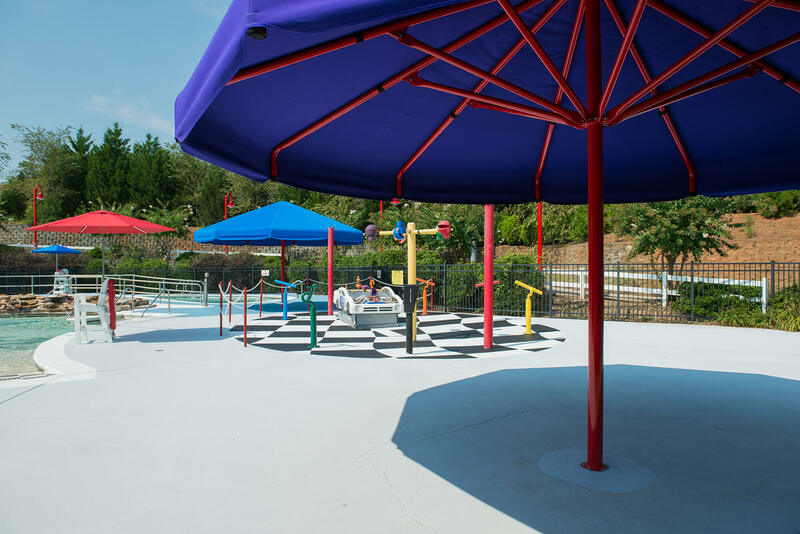 Sunbrella® fabrics were created in the 1960s to make better shade for businesses. 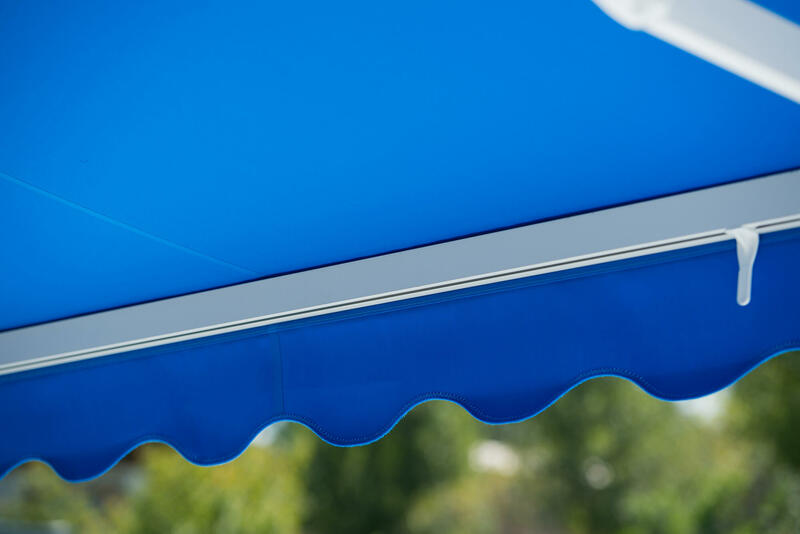 Sunbrella shade fabrics not only make us feel cool and comfortable, it defines your business. 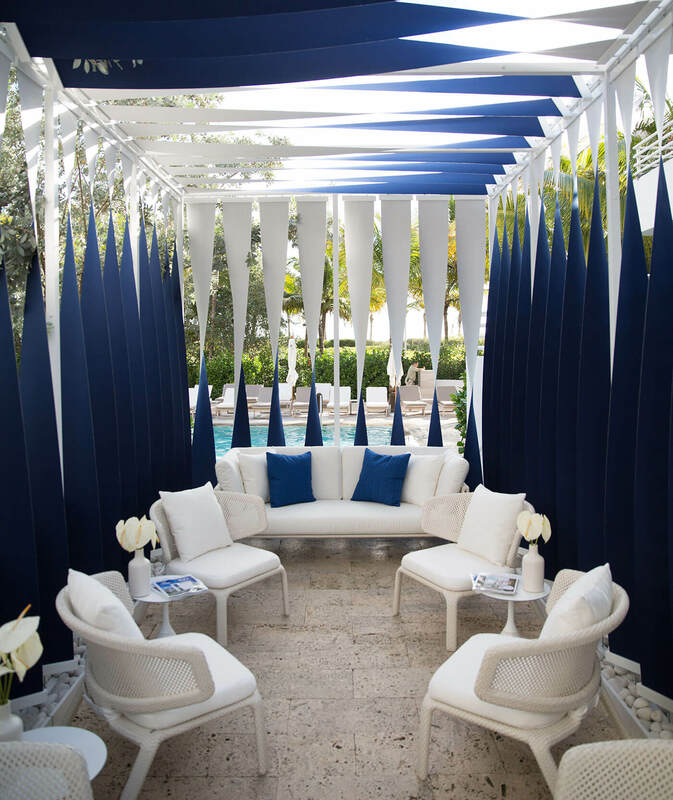 The architectural possibilities with Sunbrella shade fabrics show the world exactly who you are. Our innovative technology and extensive range of color and styles ensure that your business looks good for years. 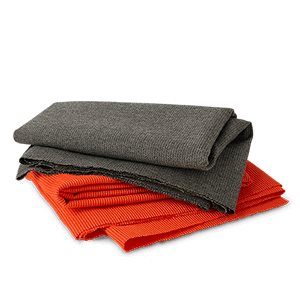 Sunbrella fabrics will hold their color, even with constant exposure to the sun. 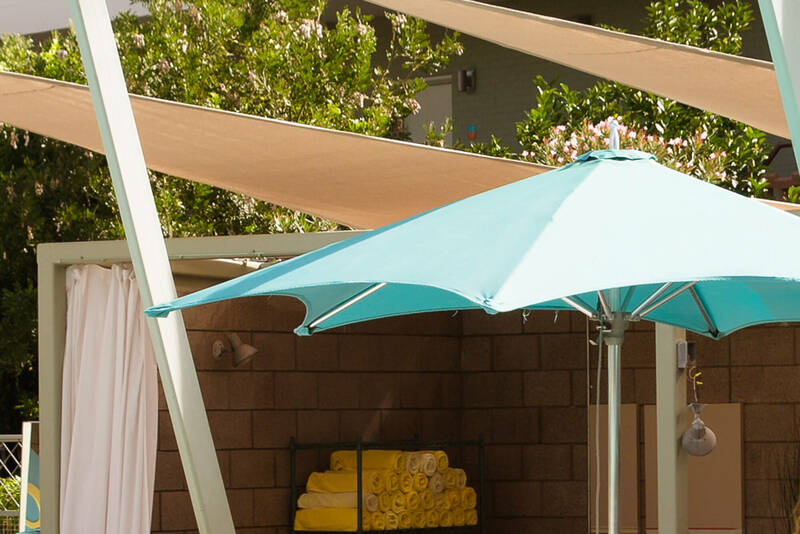 Most Sunbrella shade fabrics carry a 10-year warranty against fading. 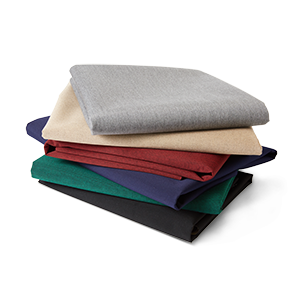 When tough stains occur, Sunbrella fabrics can be cleaned with bleach, while retaining their color. 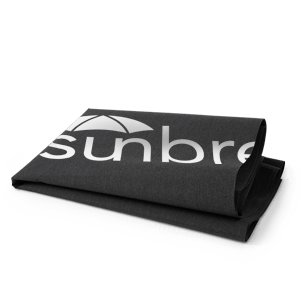 The Skin Cancer Foundation recommends most Sunbrella shade fabrics as an aid in the prevention of sun-induced damage to the skin as a part of a complete sun protection regimen, including regular use of sunscreen. 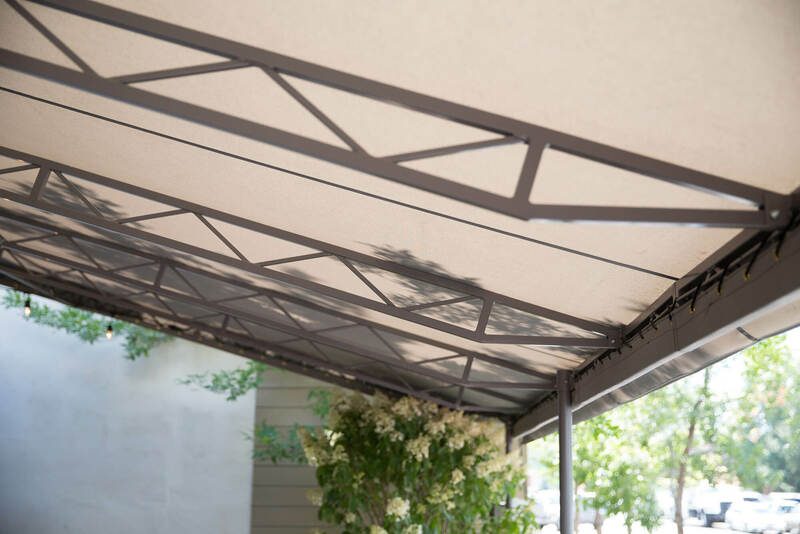 Unlike some shade fabrics that trap heat underneath, Sunbrella fabrics allow air to pass through, offering a cooler space below. 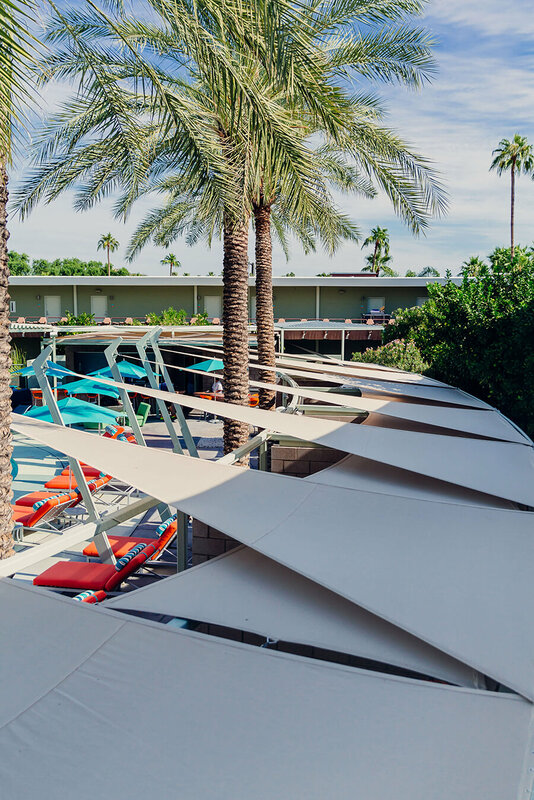 More than 50 years after it was created, Sunbrella is still unparalleled in performance and continues to innovate with revolutionary products and trendsetting styles, from durable canvas awning fabrics to decorative jacquards and textures. 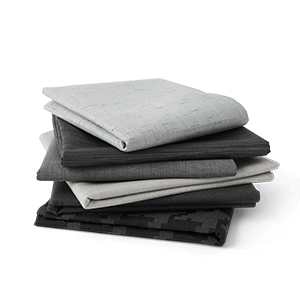 And Sunbrella shade fabrics are backed by a best-in-class warranty, with fade-resistance, water-resistance and easy cleaning the industry can rely on. 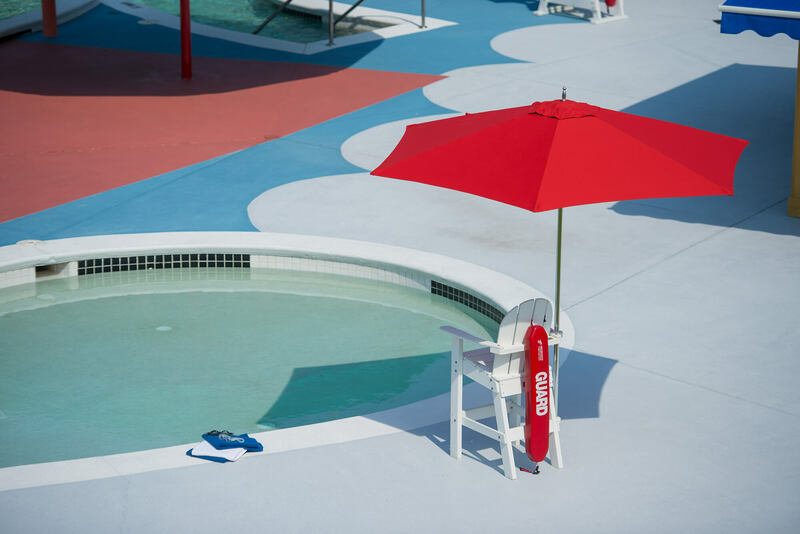 Plus, many Sunbrella shade fabrics carry the Skin Cancer Foundation’s Seal of Recommendation. 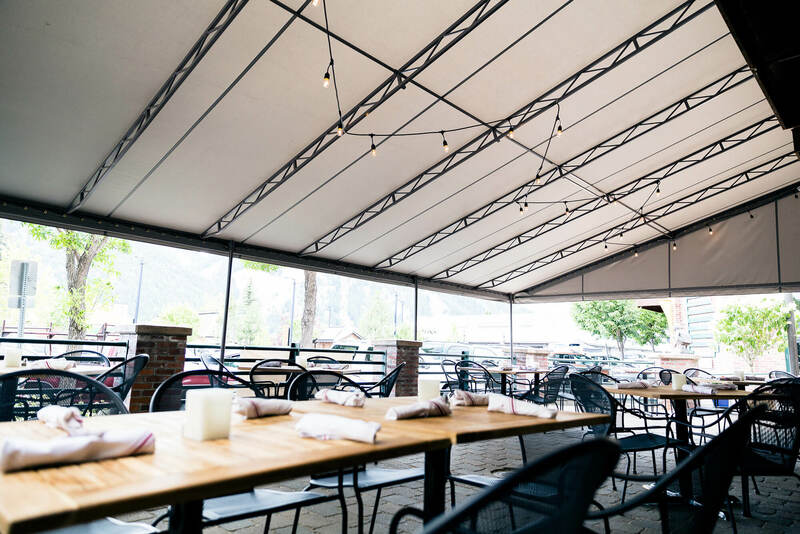 Sunbrella fabrics have long been the preferred choice for commercial shade, offering a wide range of shade solutions for every style and structure. 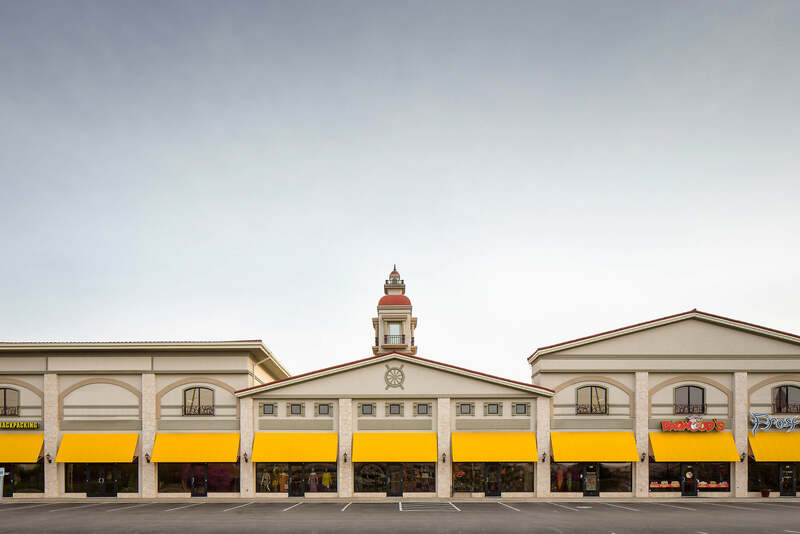 Window awnings, retractable awnings, fixed frame awnings and more made using Sunbrella fabrics enhance a storefront or commercial façade while also reducing heat loss to keep cool air inside. 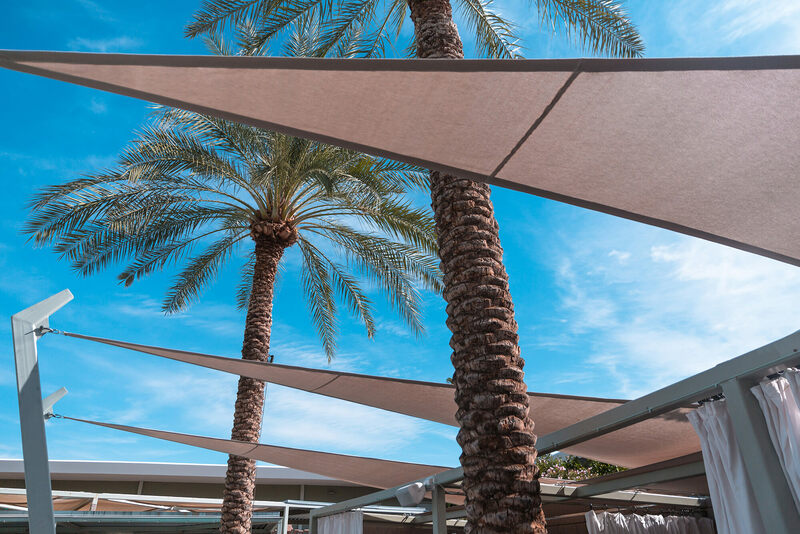 For small shade sail applications, Sunbrella shade fabrics have long offered a perfect blend of design and performance. 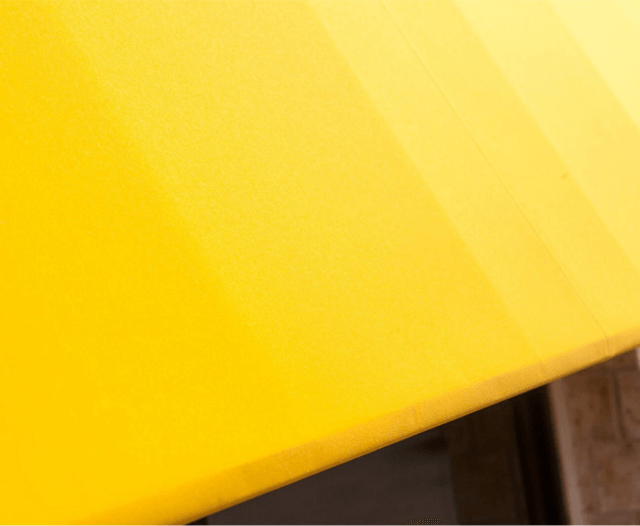 For larger installations, Sunbrella Contour is an easy to fabricate material that delivers filtered light and UV protection. 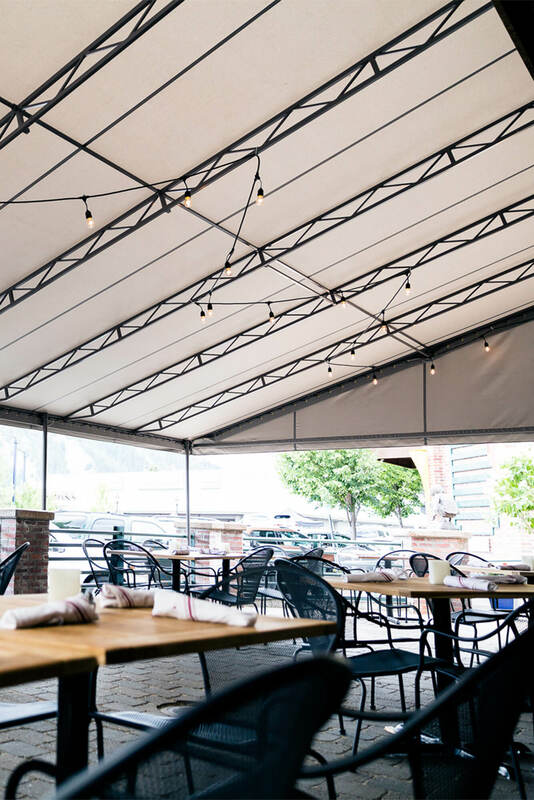 In commercial environments like restaurants and hospitality spaces, our diverse line of fabrics offers endless possibilities for style and protection for large cantilever umbrellas down to small market umbrellas. 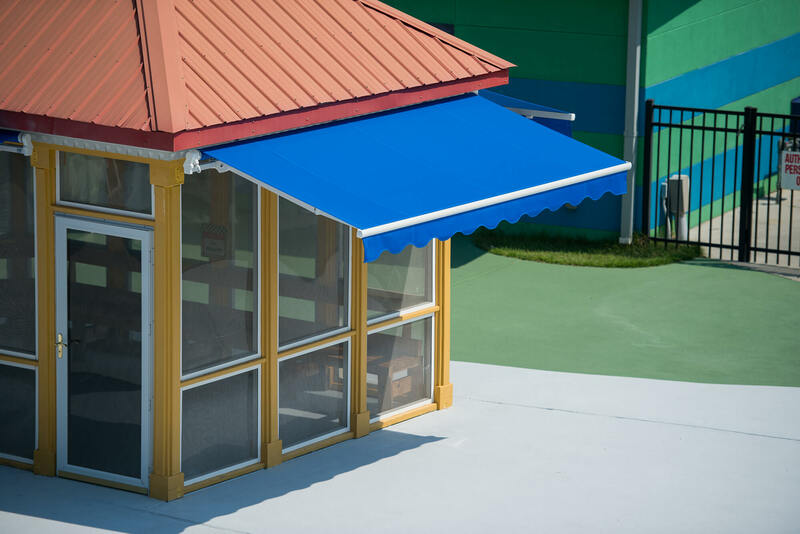 Innovation has been a focus of Sunbrella products since its inception. We continue to be passionate about providing innovative textiles and experiences to support the commercial shade community. 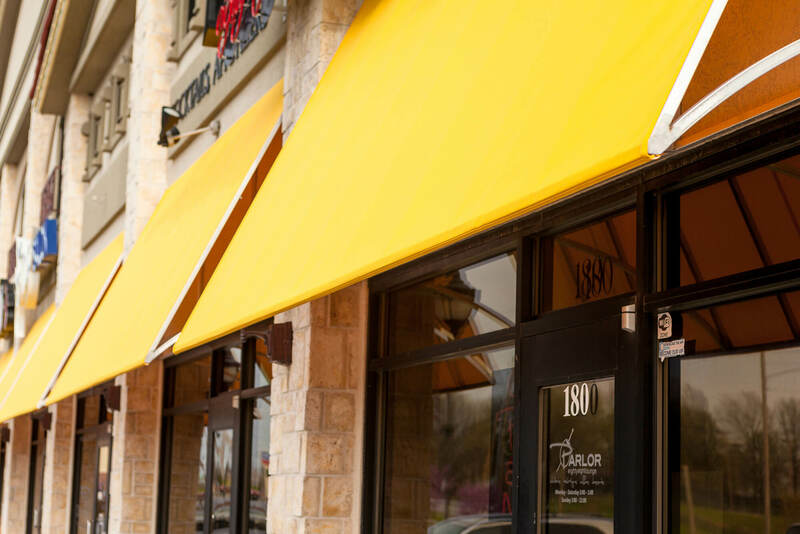 This innovative fabric offers incredible performance that keeps awnings clean with minimal maintenance so that your commercial awning always looks its best. 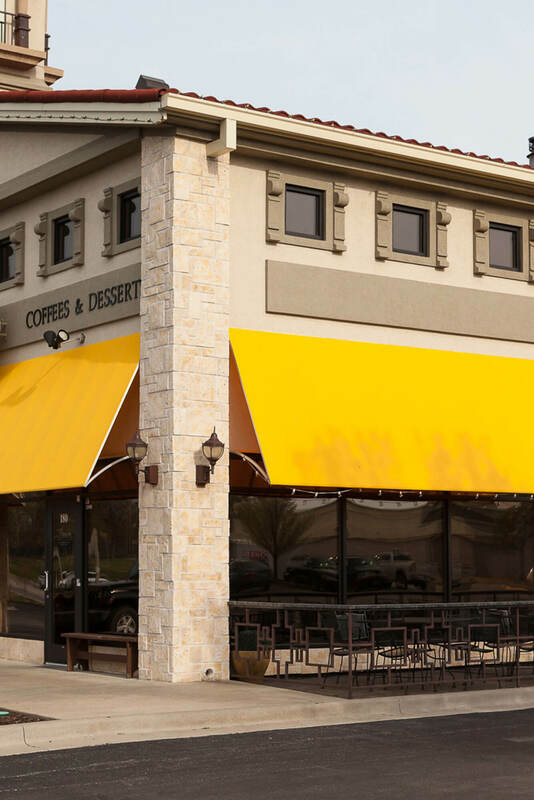 Paramount to commercial spaces is the ability to brand shade structures such as awnings and umbrellas. 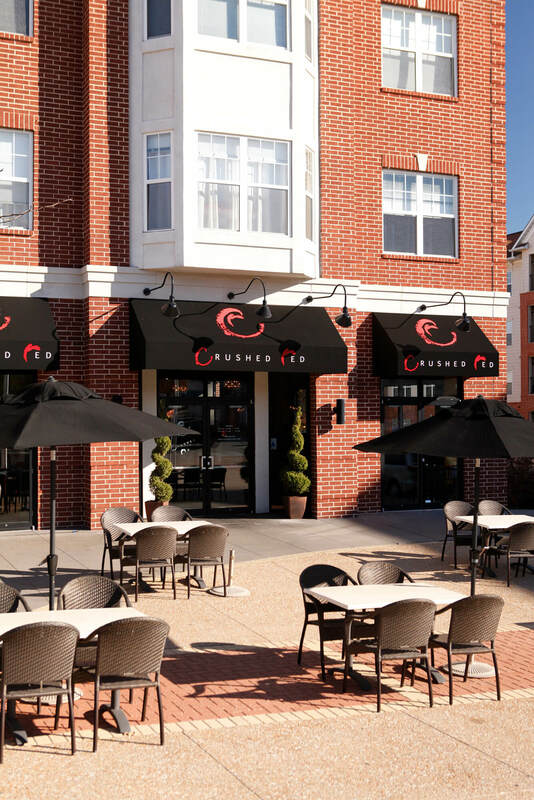 The Sunbrella Graphics System allows fabricators to provide a custom, branded structure for customers, ideal for creating branded commercial awnings. 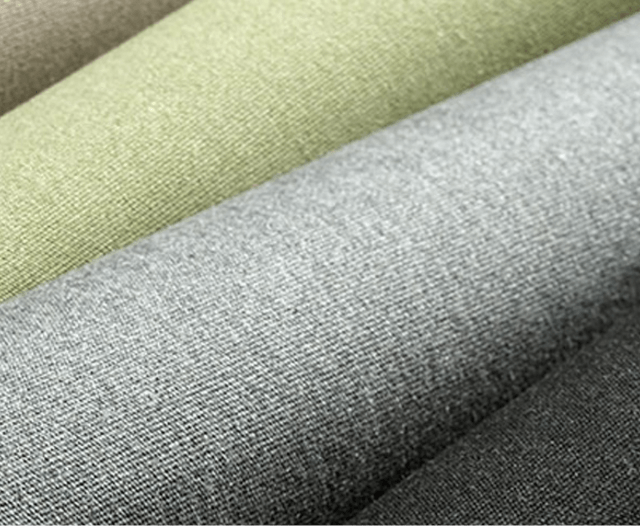 Sunbrella Unity is the first awning fabric in the Sunbrella Renaissance collection. Unity combines 50% post-industrial recycled Sunbrella fiber with virgin Sunbrella fiber to create this sustainable fabric with unique style. Our annual Future of Shade competition is changing the conversation about what’s possible with shade fabric. With a focus on shade for built environments, humanitarian efforts and wellness gardens, this contest challenges architects and designers from around the world to explore new artistic and functional frontiers in shade.